Director Jonathan Liebesman (Teenage Mutant Ninja Turtles) has signed on to direct Man At Arms, the story of an aged Lancelot trying to make amends after his love affair with Guinevere destroys King Arthur’s Camelot. Deadline notes that the premise is reminiscent of Clint Eastwood’s Unforgiven, though this sounds more like a film about a man trying to make peace, not gradually returning to his violent ways. On second thought, considering Liebesman’s oeuvre thus far—which also includes Wrath Of The Titans and Battle Los Angeles—it’s probably going to be about violence. Liebesman’s movies are known for their emphasis on kinetic action, so don’t be surprised if, even in old age, Lancelot can do backflips and surf down a mountainside on his shield—which is how he makes amends, of course. Man At Arms was written by Jeremy Lott, who is also co-writing Hood, another twist on an old legend (Robin Hood—get it?). But don’t confuse Lott with that other guy who is writing both a King Arthur movie and a Robin Hood movie, because then no one at parties will know what you’re talking about and ultimately will ignore you faster. 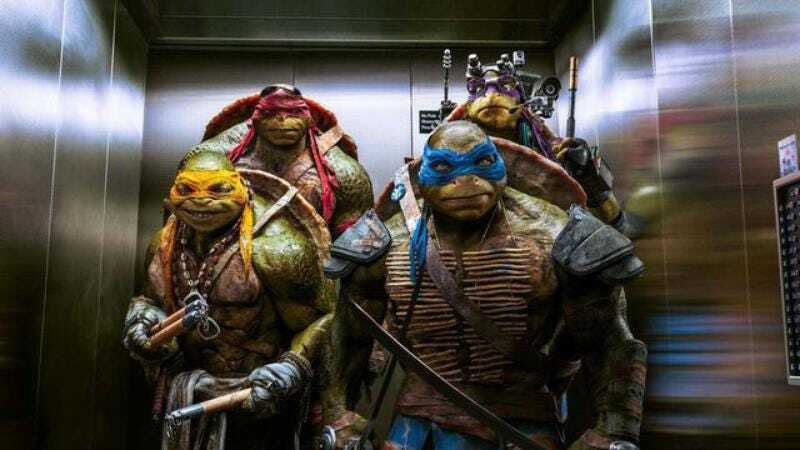 Just stick with, “Hey, did you hear that the guy who directed the new Ninja Turtles movie is making a Lancelot movie?,” and then talk about other things that you won’t watch unless you’re on an airplane or in a body cast.